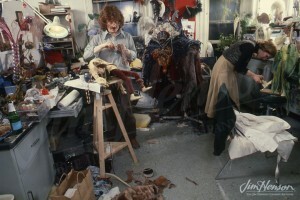 The close quarters of a puppet workshop or a television production can create an atmosphere conducive to romance. Jim married his performing partner Jane Nebel, and several couples started their relationships behind the scenes at Henson. 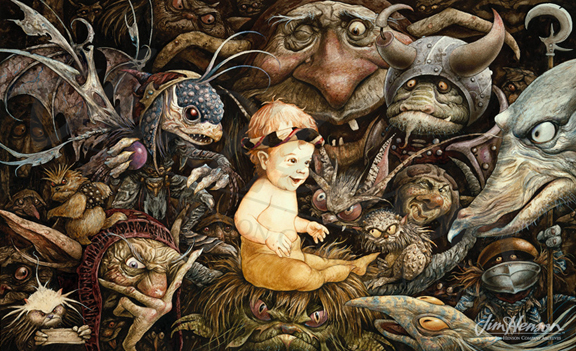 In a match made in fantasy heaven, designer Brian Froud and doll-maker Wendy Midener found each other while building Gelflings behind the scenes of The Dark Crystal. Within a year and a half of their first meeting during creative discussions at the beginning of 1978, Wendy and Brian were married near their ancient home in Devon, England. And a few years later, their son Toby was born, just in time to play the important role of the same name in Labyrinth, getting stolen by the goblins and their king, David Bowie, and getting rescued by Jennifer Connelly. Today, Toby is an accomplished artist like his parents and works in the field of film animation. Learn about Jim’s first meeting with Wendy Froud in 1978. To find out what the Froud family is doing today, visit their world. 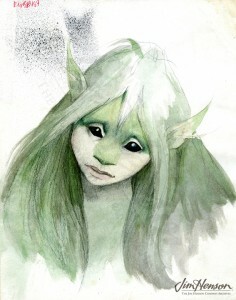 Brian Froud’s Jen concept for The Dark Crystal. Brian Froud’s Kira concept for The Dark Crystal. Brian Froud and Wendy Midener building Gelflings for The Dark Crystal. 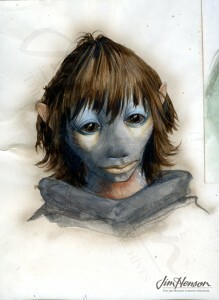 Brian Froud’s concept art for Labyrinth. This entry was posted in 05-May '80, 1980, Social and tagged Brian Froud, David Bowie, Devon, England, Gelflings, Jane Henson, Jennifer Connelly, Labyrinth, The Dark Crystal, Wendy Midener. Bookmark the permalink.